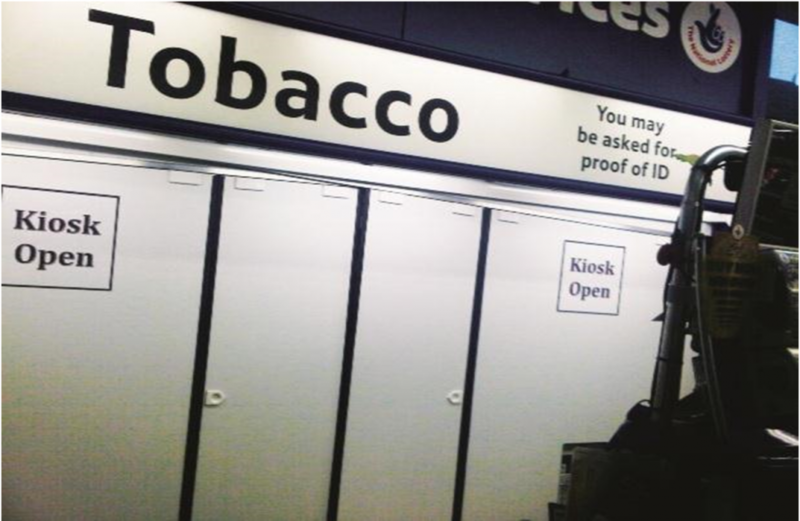 It will have been hard for you not to notice that the larger retailers have had to cover up tobacco displays since 2012. As of the 6th April the legislation extends to all shops and businesses selling tobacco products. This will include smaller shops, pubs, hotels, clubs and petrol stations. Failure to comply with the new law is a criminal offence which can be committed by any person including: managers of shops/premises and employees working within the shop/premises. The maximum penalties available at the Magistrates Court on conviction is a fine not exceeding level 5 (£5,000) or imprisonment for a term not exceeding 6 months or both. On conviction before the Crown Court the maximum term for imprisonment is 2 years. There are a number of solutions available for visible storage including a curtain covering the display or sliding doors. The other alternative is non visible storage which might include over the counter solutions or just having the products below the counter, as long as they are out of sight.